ViewScape create 3D Virtual Tours of properties and physical businesses. Allow potential customers or clients to explore your building on all online channels, anywhere in the world, on any device. Talk to us about your property or business. Showcase your property across all of your digital channels. 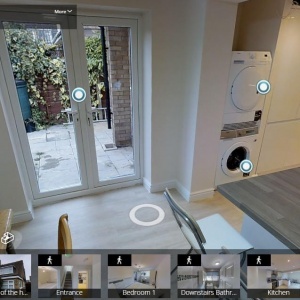 Virtual tours are compatible with all websites and social media, Google Maps and GMB, and can be viewed on all devices including desktop, mobile and VR headsets. Easily embed your virtual tours on any website, including many user-generated content listings sites. Virtual tours work seamlessly with your social media accounts, and have built-in sharing buttons. Property listing websites – including RightMove, Zoopla, Primelocation & OnTheMarket – all support virtual tours. Users can step inside of your business straight from Google Maps or Street View, and from the Google search results. View on PC, Mobile & Virtual Reality. Just Like Really Being There. Interactive and easy to navigate, virtual tours immerse viewers in a 3D space for them to explore as though they were really there, from top to bottom. They’re packed with extra information and features too, including pop-out ‘InfoTags’ which display any media type imaginable, from text links to video to 3D models, embedded within your virtual tour. 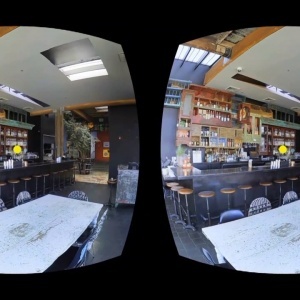 Walk around in 360°, zoom in, use the ‘highlight reel’ or see a video showcase – all within the virtual tour interface. ‘Information tags’ show details on the features of your property, through text, photos and videos. Select the best aspects of your property to show in the Highlights Reel, and press play to see a video showcase. 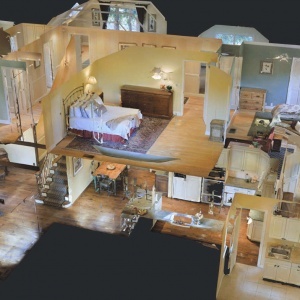 3D floor plans show a unique ‘doll house’ perspective of your property from within the virtual tour.